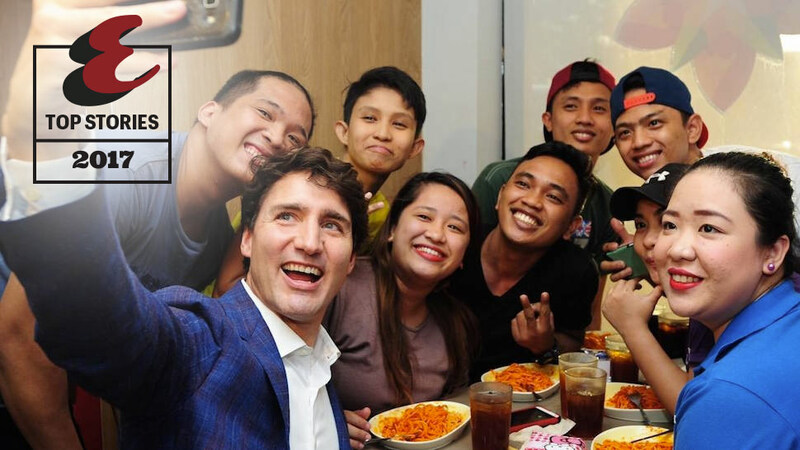 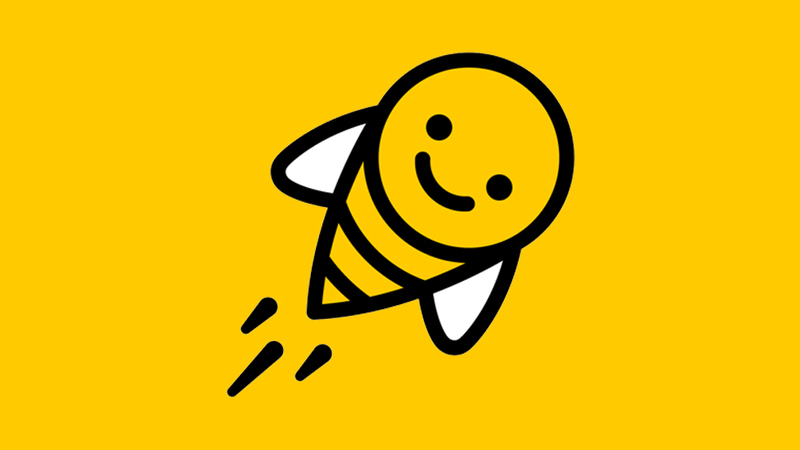 How Did Justin Trudeau Manage to End Up in Jollibee? 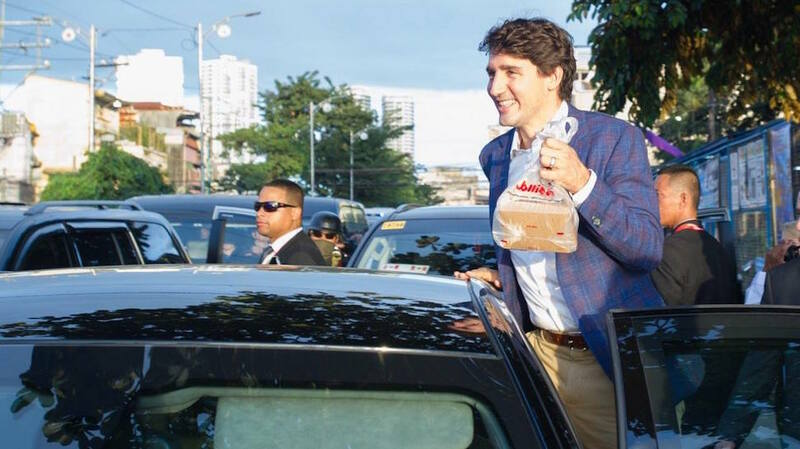 The Canadian Prime Minister launches a charm offensive during his visit. 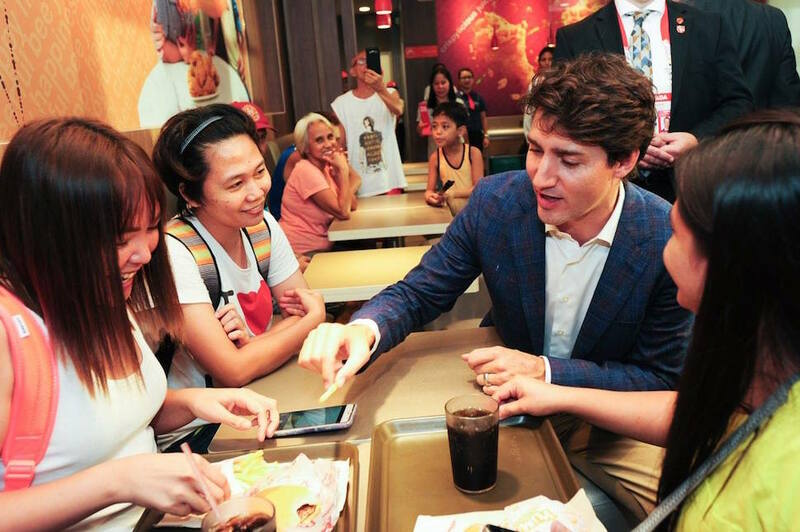 One world leader here for the conference is political favorite Justin Trudeau, the Canadian prime minister who, between all the ASEAN festivities, managed to grab a quick snack earlier this afternoon, November 12, at a Jollibee branch in North Harbor, Tondo, Manila. 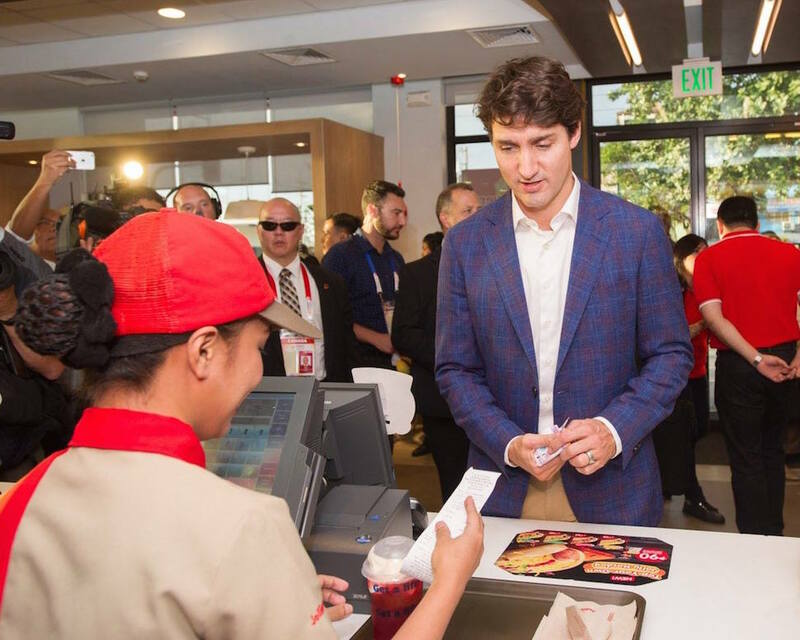 Of course a man with popularity as immense as Trudeau can't just simply walk into a fast food chain. 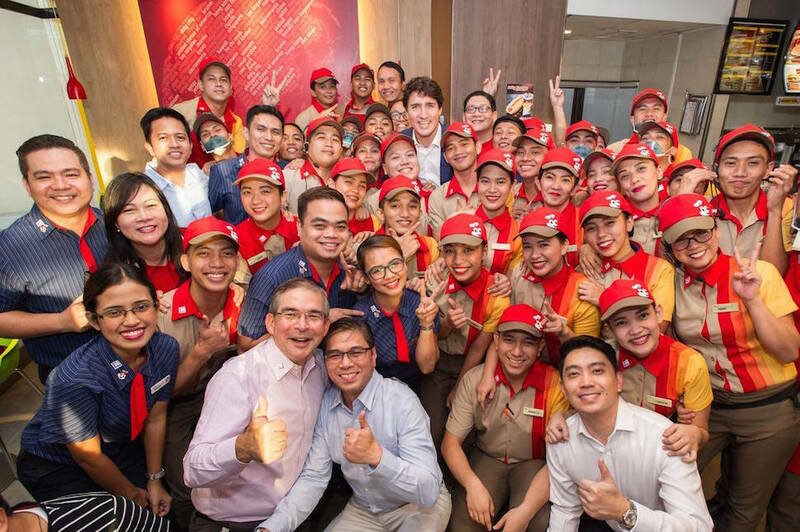 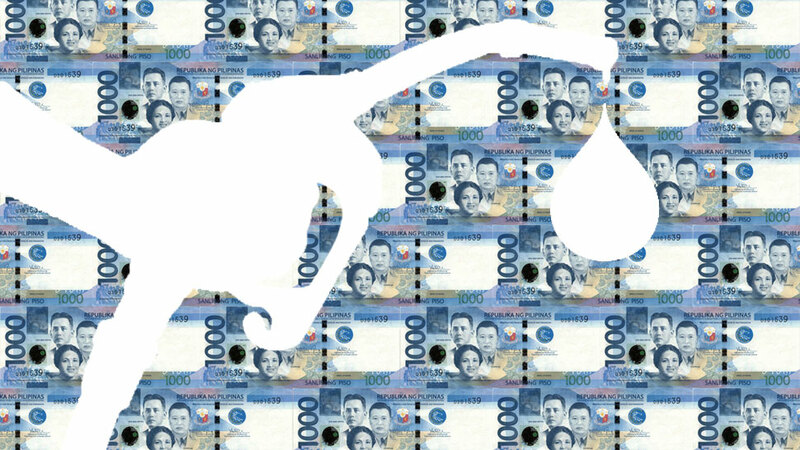 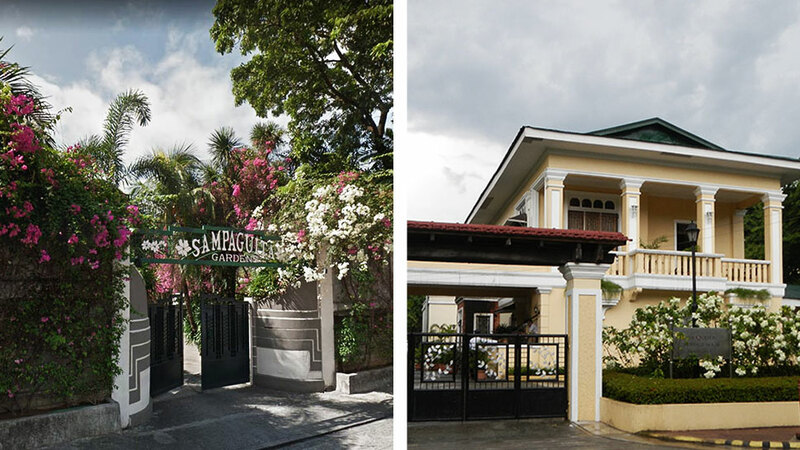 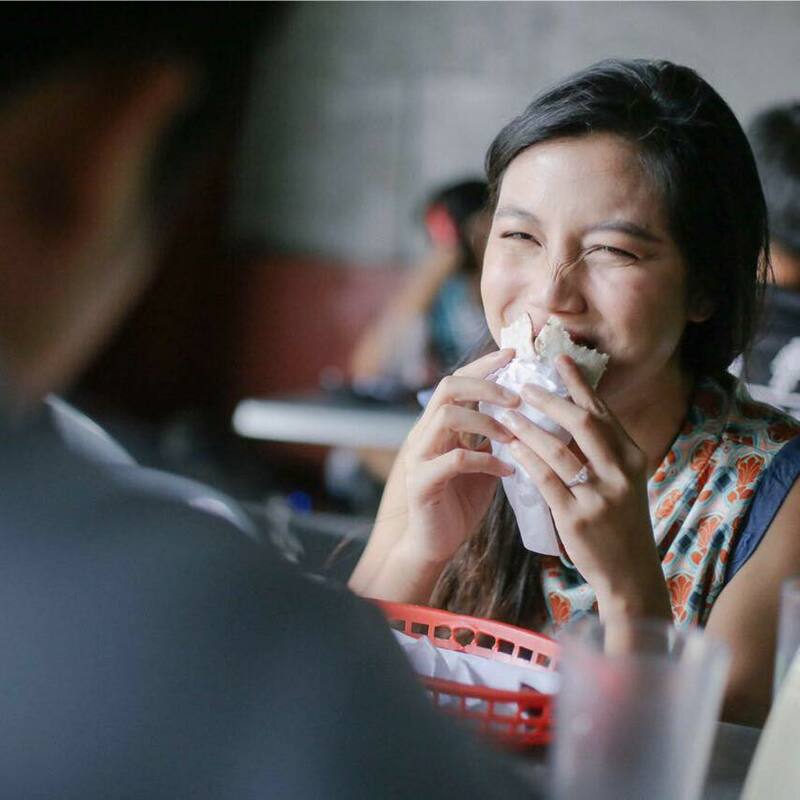 According to a Jollibee representative, the Canadian embassy reached out to the company a few days ago to ask if they could include a Jollibee stop in the PM's itinerary. Security protocols were then coordinated accordingly.